Today: The vegetable game's unlikely underdog may be something you're throwing away. I love watching sports on TV. I pick an arbitrary favorite team (blue! ), cheer for anyone who scores, and only really watch for the last few minutes of the game when things (hopefully) get more interesting. If I have to sit through the first half, I just fuzzy my eyes and take a sort of cat nap. It's a nice excuse to have a beer. What I do get excited about is when an underdog wins—especially if it's a longtime rival who topples the expected victor. Confetti flies, and people start paying attention to the team that was so recently off the radar. Such upsets happen in daily life, too: your mom beats you at Words with Friends, the most fledgling herb in your windowsill planter turns out to be the heartiest after a bitingly cold start to spring, and an old shirt you never liked gets a compliment and then works itself into the regular rotation. Even your favorite vegetables aren't safe from unexpected upsets. 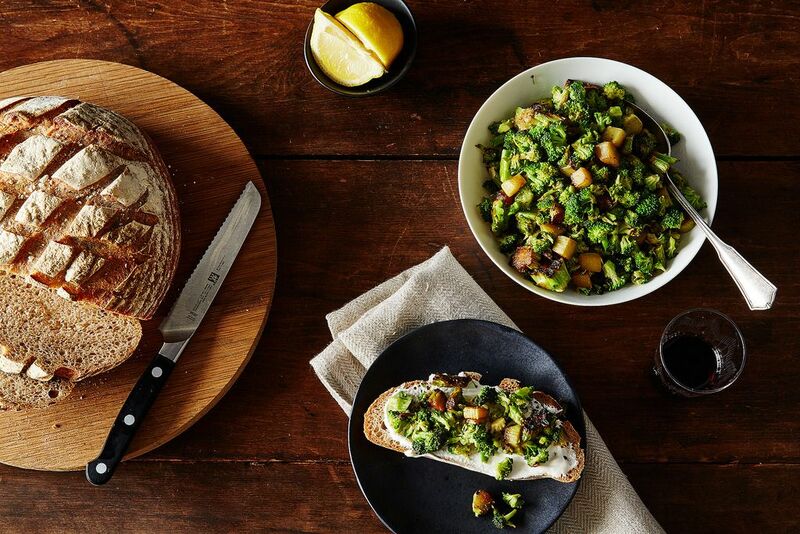 While snow sifted over the Northern hemisphere and broccoli at the markets was its sweetest, broccoli stems took center stage—let's call it March madness. I wasn't expecting the triumph of this quiet vegetable part; I've actually avoided broccoli stems for most of my life. For many, they've long played second string to florets, which will crisp in a hot oven and soak up any sauce like a sponge. But if you give broccoli stems a chance, they can be every bit as delicious (and arguably more satisfying) than frilly florets. The key is to let their natural texture shine: Broccoli stems are crunchy, mild, and sweet, with a good bite that survives high-heat cooking. Baste them in a flavorful sauce, oils, or a vinaigrette and they'll be the star of any plate. More: A few heads of broccoli and you're halfway to five dinners. Preparing broccoli stems to play their best game begins on the chopping block. If you think of broccoli as a tree, which you definitely have, the whole thing is actually a great collection of stems (a trunk and all sorts of branches), save for the tiny leaves. Trim the leaves into one bowl, and then slice the rest of your broccoli into cross-sections of similar thickness; some stem pieces will be coin-shaped and others will look like crazy spilled milk splashes. This is a good thing and will create a variety of textures when you cook them: crispy craggly edges, golden hunks, and soft interiors. Brown your broccoli stems slowly in a garllcky, anchovy-laced oil, flipping them only when they're golden. They'll caramelize and soften on the inside like little potato rounds with twice the flavor and a friendly trace of green. The leaves go right on top at the last minute, barely wilting, and the whole dish can be tossed with lemon juice (or your favorite vinegar) for brightness. A creamy, salty cheese like feta would be a wise addition, or you could pile the broccoli on well-buttered toast—but the underdogs are rich with flavor all on their own. Besides frying, there are other ways to show the stems some love. You can broil them simply on a baking sheet, tossed in just oil and spices, or have a little more fun. Here are some ideas of ways to use this mighty stalk as a star in the kitchen. Raw Broccoli Stem Slaw: Mix shredded raw broccoli stems with nuts, dried fruits, crunchy ramen noodles (right from the pack), and a creamy, tart dressing. 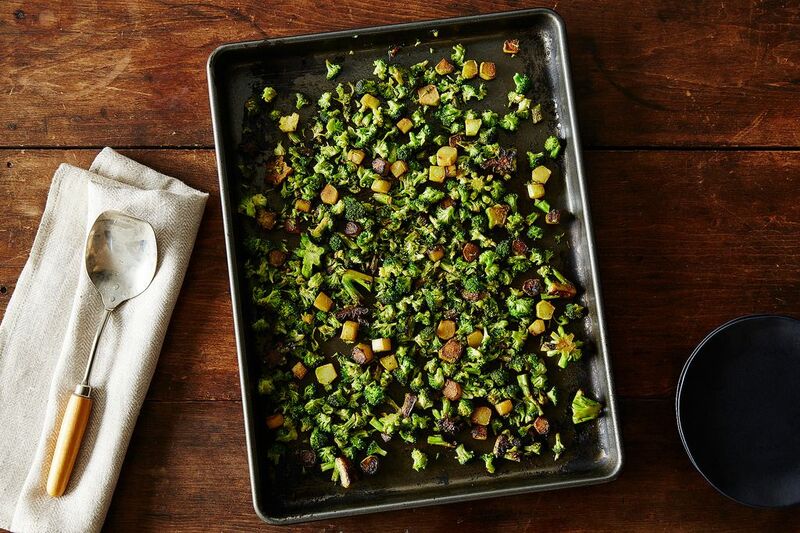 Cooked Broccoli Stem Salad: Toss steamed, cooled coins of broccoli stems with any vinaigrette. Broccoli Stem Braise: For sweet, slippery greens, peel broccoli trunks and braise them in lemon and oil, slow and on low heat. How do you prepare your broccoli stems? What other oft-forgotten vegetables do you love? Tell us in the comments! IMO, the stems are the only part worth eating. Discovering them made me realize what it was I hated about broccoli, the crowns. Thanks for all the great ideas. This is something my wise grandmother always told me, and they are tender and tasty! Broccoli is a great veggie. . .Cooked Moroccan-style or Indian-spiced. And for a change of pace, raw (uncooked). . . The neat thing about these (and similar), you can eat LOTS of them. . .LOW cal and healthy as hell!!! The uniqueness of the veggie(s) also is great "food" [pun intended] for conversation around the table. . .
Mandoline-d broccoli stem salad with a glass of Viognier sounds like heaven! Yum on the stems! Lightly parboil and fix like the above recipe with oil, garlic and a splash of lemon. Then add capers and toasted pine nuts. This works well with the whole head, but is especially good with the stems. 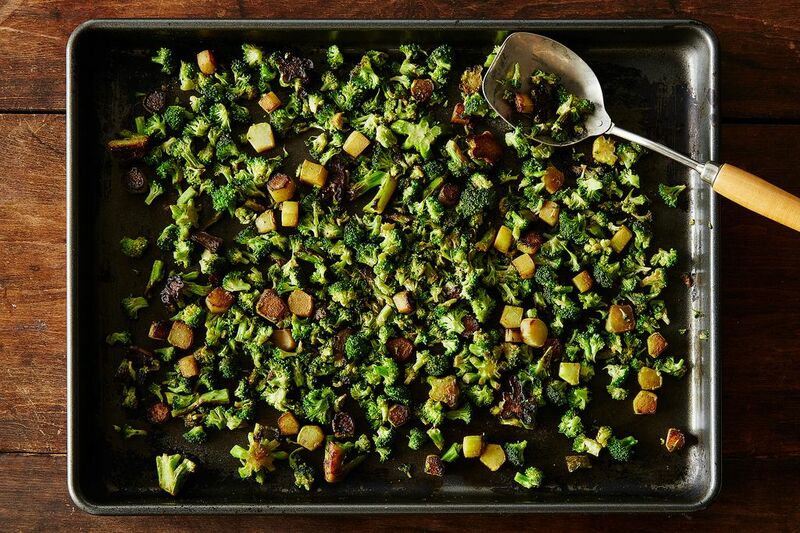 Convinces broccoli haters to like it! Thank you for cheering on broccoli stems! In our home we get a bunch or two, peel the stems, cut lengthwise from flower to stem bottom, toss with olive oil, salt and pepper in a glass bowl then microwave for about 2-5+ minutes depending how much broccoli is in the bowl and how thick the slices are. Easy, quick side dish. Works with cauliflower too. I'm not big on anchovies but the rest of it sounds delicious! Just omit them! There will still be plenty of flavor to go around. i love the stems. i will go to one store in town that sells broccoli with 8" stems and give my significant other the crown and save the stem for myself. the bottom needs to be peeled (like asparagus) because of the thick skin on it. 8" broccoli stems! That's heaven.